Whether Midwesterners, Southerners, and those along the East Coast would embrace the eco-friendly technology that certain automakers are putting out remains to be seen, as they haven’t really been given the chance. The Chevy Spark EV, for example, is only available in California and Oregon, while the Hyundai Tucson Fuel Cell vehicle is leased exclusively in the Golden State. Add to the list the 2015 Fiat 500e, which, much like the Spark EV, is only available via lease in California and now Oregon. “Bringing the Fiat 500e to Oregon gives more customers in this environmentally minded state the opportunity to enjoy the Italian style and engaging driving dynamics of the Fiat 500, but with zero tailpipe emissions,” commented Jason Stoicevich, the head of Fiat for North America, Chrysler Group LLC. Oregonians are big fans of the electric Fiat 500e already. Just this summer, the model was named the Top Electric Vehicle for the second year in a row by the Northwest Automotive Press Association’s Drive Revolution, which takes place in Portland. 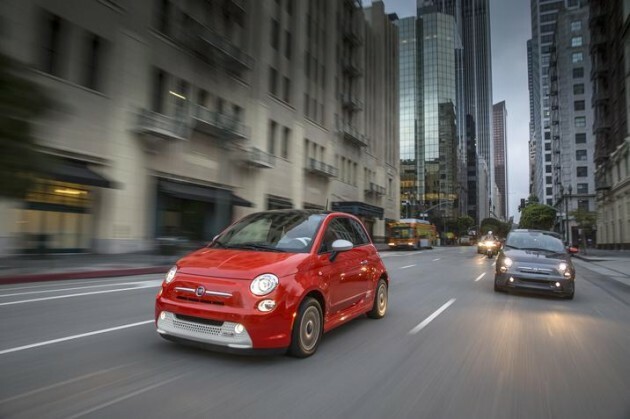 The 2015 Fiat 500e leases for $199 a month for 36 months, plus $999 due at signing.